Most motorists don't realise how much they depend on their cars until they break down. You could be at home getting ready for an important meeting or family function when your car won't start, what do you do? Perhaps you are already on your journey and the unthinkable happens, you see smoke emanating from the rear of the car and you are forced to pull over onto the hard shoulder or worse, stop in the middle of the road. We have all seen these people parked up along the side of the road and we think to ourselves, thank god that isn't me! But it could have happened to you. That's why breakdown cover is a wise buy! A breakdown cover allows you to call an expert to have and fix your car on the spot or take it to a garage. And you won't be one of the motorists left stranded on the side of the road. Not so long ago the only breakdown insurance service available to us was TheAA with their self proclaimed "We are the third emergency service" motto and bright yellow branding. Since then we have seen many newcomers to the breakdown insurance market most notably RAC which seems to be stationed at every motorway service station throughout Britain. As consumers we finally have choice over which breakdown insurance to choose and this article is designed to help you decide which levels would be best suited to your needs. One of the best rated providers for breakdown cover is Green Flag. Their policies start from just £20 for the cheapest level of cover. They even have the option for European breakdown cover at just £116. Choosing the best policy for your driving habits is very important so consumers will need to take several things into consideration. You have to consider some points. 1. The first important thing to think about is, are you covering your car or are you covering yourself as a driver. If you cover the car that means anyone who drives that specific car is covered so anyone driving it can call the breakdown cover for assistance. The flip side to this would be to insure the driver which means any car you drive will be covered by your breakdown insurance, even if you are just a passenger. Insuring a driver tends to be more expensive than just insuring the car but those who drive multiple cars would enjoy the benefits of the more expensive policy otherwise they would have to purchase one policy for each car which works out more expensive. 2. There are a number of cover levels on offer amongst the Breakdown Insurance companies and you must decide which level of cover would be most useful to you. 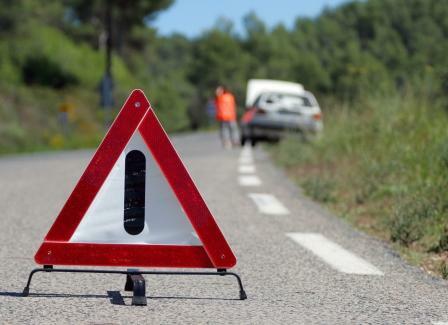  Roadside assistance - this covers you or the car in case of breakdown over a quarter of a mile from your home.  Homestart - Assistance is provided even at your home if your car for example wouldn't start.  National cover - This cover provides assistance anywhere in the UK. The provider will try to fix your car or tow it to the closest garage.  Breakdown repair cover - this cover helps you with the costs if the car needs to be fixed at a garage.  Stay Mobile - this cover extends to offering you a replacement car and a hotel if you have to stay overnight. Why you need breakdown cover? These are the typical covers available from breakdown insurance companies and it is up to you the consumer to choose which one fits your budget and overall requirements. Many of us have never used our breakdown service after many years of careful driving, so we may think of saving some pennies by not covering ourselves at all. Just imagine your reliable car choking out down the motor way with no way of fixing or removing it, you will bet your lucky stars you had breakdown insurance when someone finally comes out to help you and charges you several hundred pounds for the pleasure. Finally as with all good breakdown insurance companies you will have the ability to add another motor or person onto a policy, usually for free if they live at the same registered address as the policy holder.